Las Vegas: The same technology used in self-driving cars is being touted as a potential high-tech solution to the US border wall conundrum -- with some added benefits. At least one startup at the Consumer Electronics show is showcasing how Lidar, a laser-based detection system widely used in autonomous vehicles, could be deployed along the US-Mexico border at a far lower cost than a physical wall or fence, and with fewer environmental impacts. 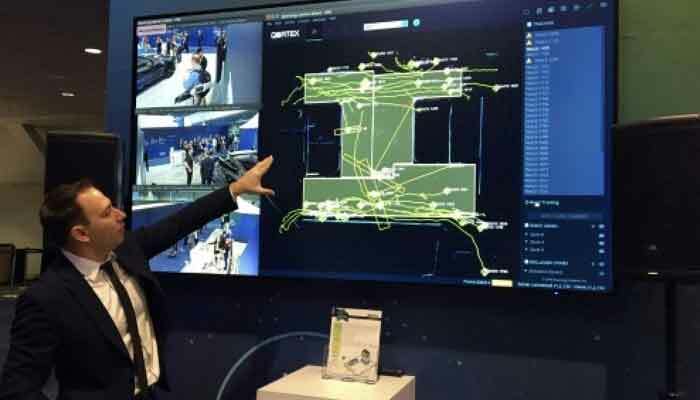 Quanergy Systems, among a handful of tech firms working on Lidar border security, is showing to CES attendees its technology being deployed in pilot projects on the India-Pakistan frontier as well as a small section of the southern US border. "We offer a solution that is more capable than a physical wall," said Louay Eldada, chief executive and co-founder of the Silicon Valley startup. "It can see day and night in any weather and can automatically track intruders, and give the GPS coordinates in real time to patrol officers." Eldada said such a system would cost "about two to three percent" of the price of a physical barrier for the entire US-Mexico border. An electronic solution offers additional benefits, according to Quanergy, including for the environment and in operating costs. "A barrier is an eyesore and it intrudes on the environment, it impedes the flow of wildlife" Eldada told AFP. And without a wall in place, "you don´t have to have patrol officers driving back and forth, so you need fewer people" to monitor the border. A decade ago, the US government canceled plans for an electronic fence, amid concerns it would be ineffective. But Eldada said that technology has vastly improved in recent years, notably with the development of Lidar -- light detection and ranging technology -- paired with artificial intelligence. "With the long range of Lidar, you detect things before they get to the perimeter, and the AI software is so much more advanced," he said. "We can get very high resolution images, and look at someone´s behavior. You can see every articulation. This allows you to see how each person is moving and have a good idea of whether it´s a patrol officer or someone about to cross illegally."